The County of Grey is undertaking a Transportation Master Plan (TMP). The TMP is a strategic plan that will direct policies and infrastructure initiatives for the County’s transportation system over the next 25 years. The objectives of the study are to address short, medium and long-term transportation needs of Grey County. Goal #1: Create a vision for all modes of transportation in the County of Grey, with a particular focus on encouraging active transportation options (cycling, walking/running). Goal #2: Identify Transportation network constraints and opportunities, as well as required infrastructure improvements/expansions to ensure the continued safe and efficient movement of people and goods to the year 2036. Goal #3: Ensure that the Transportation Master Plan is fully aligned with the County’s vision and goals identified in the County Corporate Strategic Plan and other County plans/strategies. Goal #4: Establish solutions reflective of the present economic climate and future conditions. Goal #5: Coordinate and establish partnerships with public and private agencies. The study will be carried out through an open public process as a Master Plan study under the Environmental Assessment (EA) Act. The scope of the study will follow Section 2.7 (transportation master plan process) in the Municipal Class EA guidelines. Public Consultation has been a key component of this process and we want to continue to hear from you! Based on the comments provided from the previous Public Information Centres, a draft Transportation Master Plan with accompanying appendices has been prepared. The draft Transportation Master Plan provides a number of recommendations and options for improving the overall transportation system in Grey County. Not all of the recommendations can be implemented at once. Council is interested in hearing your thoughts on what recommendations should be considered as priority action items that will result in immediate improvements and efficiencies to the overall transportation system.  A Public Meeting was held on Friday, March 6, 2015 from 6:00 p.m. to 8:00 p.m. at the County of Grey’s Administration Building, (Council Chambers) located at 595 9th Ave. East in Owen Sound. If you would like to provide comments or would like additional information, please contact the Transportation Services Department at 519-376-7337, Extension 1217 or email roads@grey.ca and we will be happy to assist you. The Transportation Master Plan has been completed and recommendations from the Transportation Master Plan are currently being implemented. It will likely take 3 to 5 years to implement all the recommendations from the Transportation Master Plan supported by Council. As such, it is recommended that the Transportation Master Plan Update be put on hold for the time being. It is recommended that the County revisit the need for a Transportation Master Plan update following implementation on some of the recommendations in the current Transportation Master Plan.